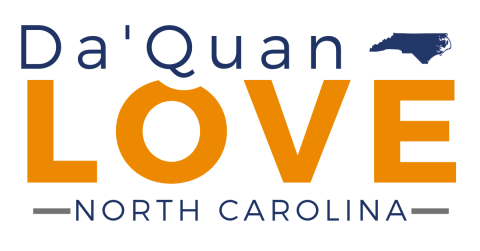 Da’Quan believes in fully-funding our public schools, expanding access to affordable healthcare options, and growing our local economy by supporting small businesses that create good-paying jobs. Raised by a single mother who worked multiple jobs to make ends meet, Da’Quan was instilled with Christian values and learned the meaning of hard work at an early age. Despite the odds stacked against him, Da’Quan became the first person in his family to attend college. He is a proud alumnus of Hampton University, where he served as Student Body President, and is currently completing a master’s degree in teaching at North Carolina State University. 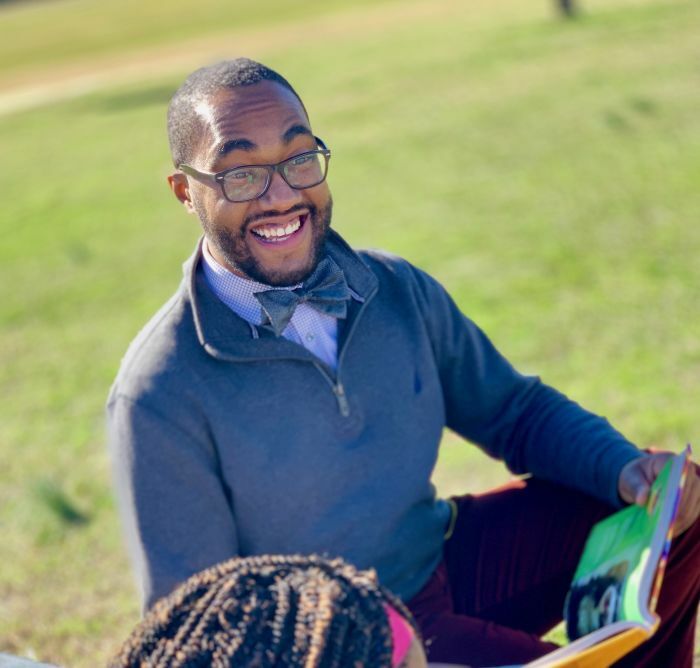 Da’Quan understands the value of education, having worked as an elementary and high school classroom teacher, charter school administrator, and university development officer. Da’Quan is an award-winning educator with a passion for ensuring that all children have access to a high-quality education. Da'Quan has been honored to receive the Profound Gentlemen 2017 Educator of the Year Award, Amos C. Brown Service Award, Roy Wilkins Leadership Award, and the NAACP Chairman’s Citation. In 2014, The Root named Da’Quan as one of its 25 “Young Futurists,” a listing reserved for high achieving youth leaders who have made a significant impact in their community. Da’Quan is a member of Byrd’s Chapel Missionary Baptist Church in Rosehill and is a life member of the Duplin County Branch of the NAACP. Da’Quan currently serves as Vice Chair of the Democratic Wallace Precinct - the largest voting precinct in Duplin County. When he is not registering new voters, speaking up on issues or mentoring the next generation of leaders, Da’Quan can be found singing gospel music, cooking, painting, or jogging. Da’Quan is a proud member of Alpha Phi Alpha Fraternity, Inc.